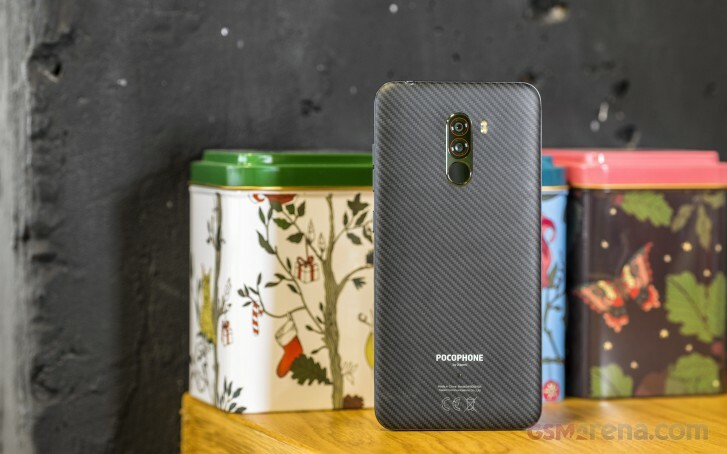 Xiaomi introduced the so-called Game Speed Booster when the Mi 9 launched and the very same feature is now making its way to the Pocophone F1 although, with a different name - Game Turbo. As the name implies, the feature will enhance the gaming experience by optimizing the available resources. Probably just like Honor's GPU Turbo, Xiaomi's take on the gaming boost will optimize the CPU and GPU to deliver more consistent and fluent gaming experience. It doesn't magically boost the performance of the hardware but instead tries to keep a more steady FPS count. In addition, the Game Turbo allows you to clear the memory, take a screenshot, start recording, toggle WiFi on and off and even switch between SIM cards without leaving the game. An overlay pop-up that lets you control all those settings. Interestingly enough, you can even use apps like Whatsapp, Facebook and even open up the browser while you are in-game. The apps open in a floating window and Xiaomi plans to add more apps that will support the floating window feature. The feature is only available for the MIUI Global Beta users and you can turn the feature on from the Security app. It is expected to hit the MIUI Global Stable ROM pretty soon and there's no word of the Chinese MIUI support for now. Because it's a cheap phone? Not everyone that buys this phone wants to game on it, maybe they just want something that's relatively fast since it has a flagship-grade SoC in it. He's right these gimmicky gaming features does nothing to improve the mobile gaming experience compared to real flagships without it, it's all for marketing purposes and people like you fall for it all the time.